Discussion in 'Amps/Cabs Tech Corner: Amplifier, Cab & Speakers' started by hacinador, Apr 28, 2016. I built a JTM45 copy. It's a great amp with Mustard caps, Piher resistors and very nice transformers from IGPW Germany. There are no problems with the amp, it doesn't hum or hiss, all is perfect and it sounds heavenly! My problem is that the wall voltage in my house is little "over the top". The "standard" is 230V (I'm from Europe...), but I have 240-245V. The HV from PT's secondary should be 350-360V, but I have 370-380V. There is a plate voltage of 475V with KT66s and 520V with EL34B. One of the big elyts is rated as a 500V cap, but it runs at 520V with those EL34B! My voltage for heaters is nearly 7 volts! Is it safe? Is it still "ok" for the "sound"? I can use a different PT's primary tap and wire the amp for 240V, but then the amp could run too "cold" at other place, because there is only about 210-215V in some clubs etc. The procedure is to measure your mains voltage and set the amp's mains input selector to the next tap up from that. 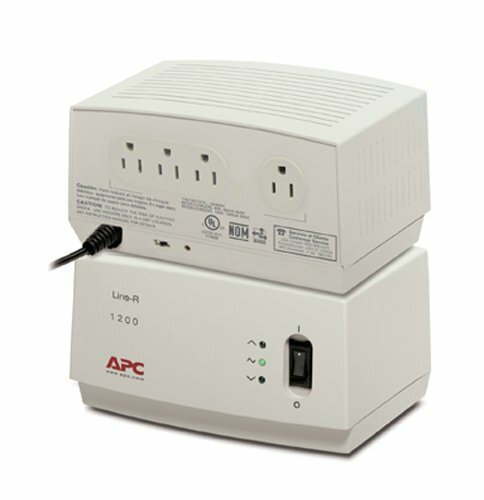 As 240V is the highest option available on the PT, you should be running your amp on its 240V tap. There is a plate voltage of 475V with KT66s and 520V with EL34B. One of the big elyts is rated as a 500V cap, but it runs at 520V with those EL34B! My voltage for heaters is nearly 7 volts! Your tube heaters are rated at 6.3V; some makes may be +/-5% (ie 6.6V upper limit), others may be +/-10% (ie 6.9V upper limit). Prolonged exposure to nearly 7V on tube heaters, and 520V on a 500V cap is likely to reduce their working life / bring on early failure. If you are concerned about there being a lower mains voltage at other places you may use the amp, then consider taking a voltmeter and following the above procedure at each place you use it. But no damage will result if you leave it on 240V permanently and use it at a lower voltage, eg 220V. Does anybody have some experiences with some "power conditioner" etc.? Or is it possible to use only some form of variac to tame my higher wall voltage? hacinador, what is the plate dissipation with those two different sets of power tubes? +1 with what pdf64 notes about the heater filaments and the cap at the higher voltages with the EL-34's. IT may be that those EL-34 tubes are biased way to the cool side of things. Higher current draw will lower the B+. The KT-66's may be biased way hot. So, one set of tubes biasing cold and one set biasing hot might explain that wide difference in the B+ voltage. That is the first thing I would want to know before I started looking for some voltage control. Avatar Tech and pdf64 like this. Thank you for your post Steppin' Wolfe! The amp is an exact copy of the JTM45. It has a GZ34 rectifier. It has the exactly same layout as the original, PT and OT are wired the same as the original, it even has most of capacitors and resistors from that "old" era. I tried those two pairs of tubes, because the amp is new and I'm trying to experiment a bit ,but I'm going to use KT66s, so the plate voltage should be around 470-480V (with 245V of my wall voltage). I tried the amp in other place and there was about 230V from the wall socket (the "right" value) and the amp had about 450V of plate voltage (these value should be the "standard" for the JTM45), about 350V from PT's secondary (OK) and heaters had 6,3V (OK). At home, I measured 245V from the wall socket today! I also tried another MM and got the exactly same value. Then I measured the amp with KT66s: Plate voltage was 476V, 374V from PT's secondary, 6.85V on heaters, 5.5V on GZ34 heaters! All values are about 10% higher than they should be. I have bias probes on both tubes and I can set current for the pair via small pot (the original JTM45 was made with fixed bias). I can compensate the higher voltage at home with the "right" biasing, but I can't do to much with the voltage for heaters and this may be the biggest problem. I think that the amp can deal with higher plate voltage, but nearly 6.9V on heaters can be "out of spec"
I agree that the heater voltage is a problem. I got sidetracked by the big difference in the plate voltages with the two different tubes. I can't speak to the other amps, but this build is an example of why the PT choice is so important. For vintage repairs or builds, I prefer voltage adjusted PT's that are built to yield vintage voltages at modern wall voltage output. IN your situation, I would also want a 'Universal' PT so that I could select source voltage....100, 110, 120, 220,230,240VAC. With the various voltages you have at different places and with the different amps with different requirements that you have, it appears to me that at the minimum you need a Variac if not a more expensive alternative. Then, you would have to do the experiments to know where you need to run the Variac for different amps at different source voltages. You can always lower the B+ with a Mosfet or Zeners. You can also drop a bit of the heater voltage by inserting a small amount series resistance. 1 ohm or less @ 5W rating should do it. But, having a universal PT with multiple input taps would be best. Sounds like a job for a well placed switch! Washburnmemphis and GilmourD like this. There is every reason in the world to wire that PT to a switch that will access the various AC source voltages. IF a person can do without something like an external votlage control device, then one should do without it, imho. From my perspective, you are wasting time and energy wondering about what to do while the solution to your problem is sitting in the amp. Once the PT primary taps have been wired to a switch, then one would want to carry a multimeter and know what voltage is being provided at the wall wherever one plays. Select the appropriate primary tap, and play away. Washburnmemphis and hacinador like this. Call up your electrical power supplier and tell them to fix the problem. Now I realize in Europe things are different than in the Americas and that many homes will be fed from a single, larger transformer station, but I'm pretty sure if you're not third-world they are obligated to fix it. I'm in Canada and our local "hyrdo" is responsible if their supply blows our your gear from overvoltage. Great! They also make it for "our" voltage and it's quite cheap. I'll look at it. Thanks!